With 23 years of experience, I will show you all the tricks of the trade! 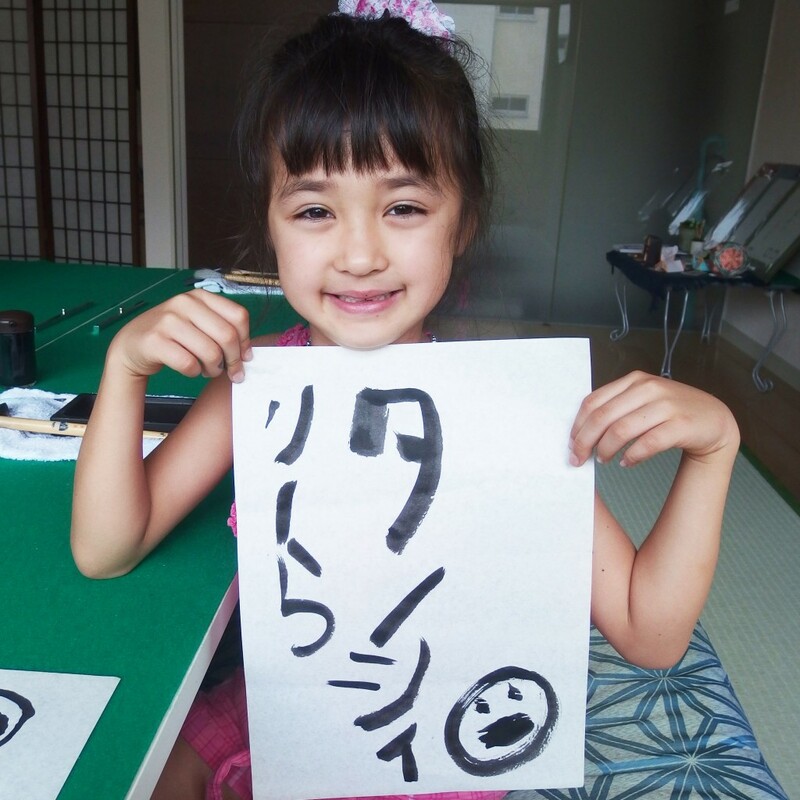 To experience fun Japanese Calligraphy for your first time. You can change to a fan(Uchiwa in Japanese) from a special paper! *Plus ¥500. Kids price available:) Under 12 years old kid is a half price!! To learn/gain your Calligraphy skills, make your own masterpiece. 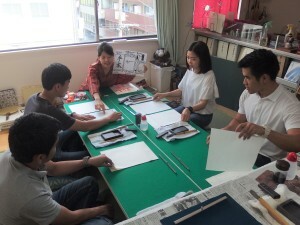 This is good for who has done Calligraphy classes before too. 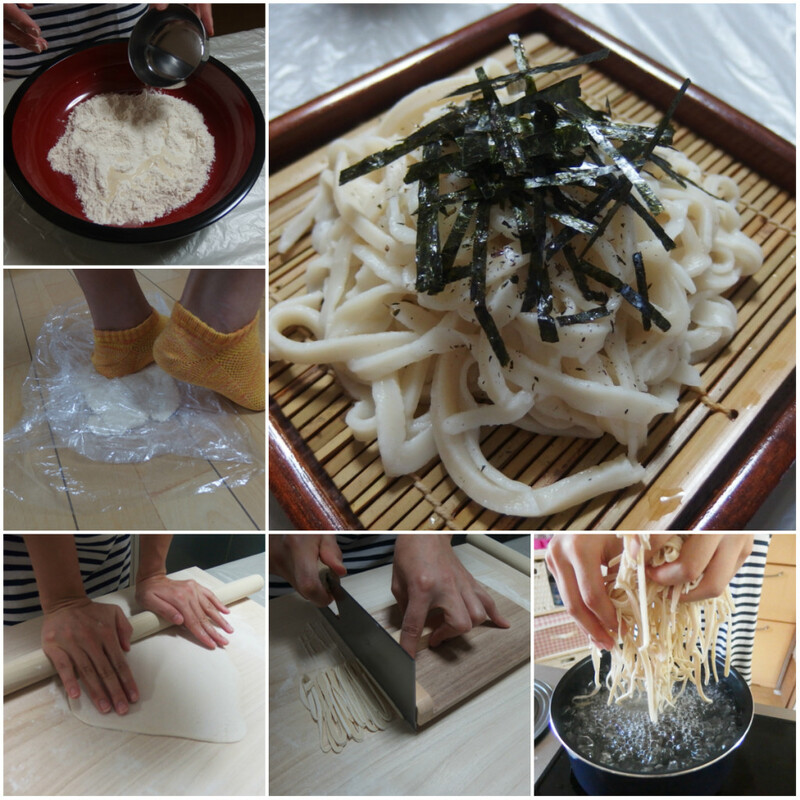 You will make Japanese traditional noodle, Udon. After you mix and knead, let Udon sit 1-1.5 hours. 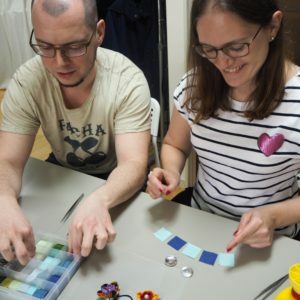 While you wait, you will do another activity either Calligraphy class, Tamagoyaki (Japanese omelette) making class or Origami class. When the Udon dough gets ready, roll and cut them. You’ll use a special knife for cutting noodles!! You will get a recipe so you are able to make Udon noodle back home!! *Available only for participation of Wakalture (Either Calligraphy or Cooking class). Approximately time is 1.5 hours. *Depending on the situation: the number of group, wearing Kimono or not. It may take longer if you have lots of questions (they love it!). You will get instructions about tea ceremony, tea and sweets(tea is always served with Japanese traditional beautiful sweets) then be served green tea. 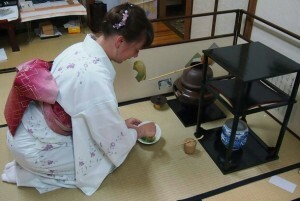 After that, you will make tea by yourself:)¥3,000/each if you would like to wear kimono in this class. Unfortunately I can’t teach you as I have not enough experience for it. 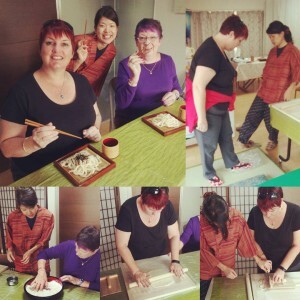 But I can introduce my Calligraphy teacher and her daughter instead:) It’s only 5 minutes away from Wakalture. 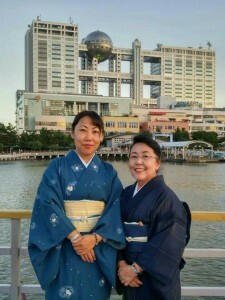 My teacher on the right and her daughter on the left.She is originally a teacher of tea ceremony and have her own classes for Japanese students. So you’re going to use the real things. They even use special charcoal to make hot water (tastes more mild/soft!!). Her daughter is known about it very well and speaks English. Click⇒ Contact & Access to book the Wakalture Experience!! For your booking, please tell me these details. 4, *Cooking class only* Anything that you are allergic to or you cannot eat. *Please come with older casual clothes. Especially for the Calligraphy class, the ink stains permanently. *Please do not come barefoot as it will be held in a local home otherwise you need to purchase socks. *For security purposes, please bring your photo ID. *Cash only. Wakalture does not accept credit cards… sorry. If you tell me where you stay, I will find the easiest/cheapest/fastest way to come to Wakalture. If you have enough time for the classes, I might be able to make it shorter. If you need to make a booking on a Japanese website, I can help you. They used to be my host family but they are my family now!! To be honest, all my English that I had when I arrived Australia were “Yes”, “No” and SMILE. 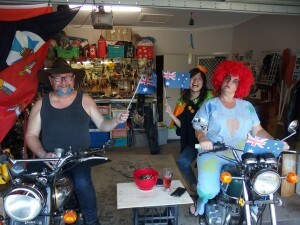 But they kept talking to me, checking my diary everyday, telling me Aussie and NZ culture, taking me many beautiful places and giving me many chances to meet local people. Few of my coworkers in Canada. 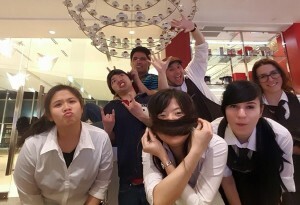 I worked at a cafe with them almost everyday for 8 months. We were always together even after work or day off. 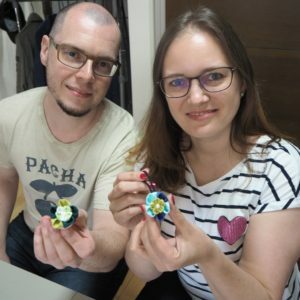 As I had no host family, they are like my family in Canada who I can see again when I’m back:) I can’t imagine how boring the life there without them! !